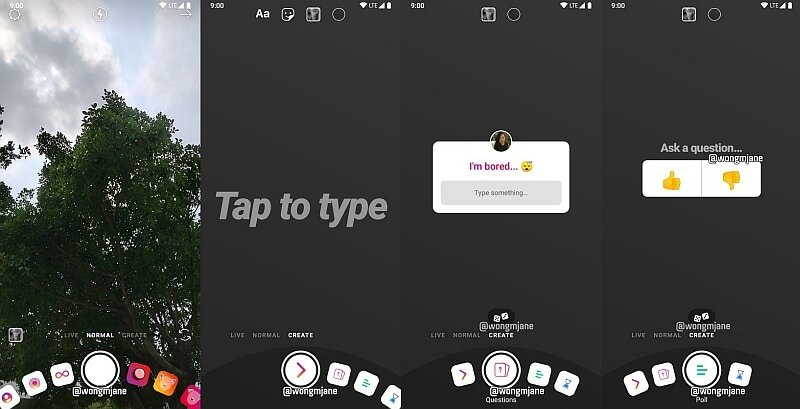 Instagram is testing a selector wheel format to display filter options for ‘Stories’ on its platform. Facebook-owned photo-messaging app has not commented on the feature yet. The semi-circular wheel of options was first spotted by reverse engineer Jane Manchun Wong, who also highlighted that the test feature reduced the eight camera options to three, Social Media Today reported on Tuesday. “Instagram is working on new ‘Stories’ user-interface, inspired from mechanical circular mode switcher in DSLRs. Tabs reduced to just ‘Live’, ‘Normal’ and ‘Create’,” Wong tweeted. ‘Stories’ options like ‘Superzoom’, ‘Rewind’ and ‘Stickers’ have been re-arranged under the ‘Normal’ and ‘Create’ options, with ‘Live’ retaining its own mode. While the ‘Normal’ option has captured modes and Augmented Reality (AR) tools, and ‘Create’ hosts text and sticker tools. “The new flow will mean that users may need to scroll around several times during their creation process to add all the effects, but the rounded selector does make it a little easier to do so, and looks like a helpful addition,” the report said. Specifics about the public availability of the selector wheel for ‘Stories’ options remains unclear. Separately, Instagram on Tuesday announced it would let US users to shop products directly from the photo sharing app by adding a ‘checkout’ feature on items tagged for sale. The move is in line with Facebook’s plan to monetise higher-growth units like Instagram, especially as the company’s centrepiece product, News Feed, struggles to generate fresh interest. Instagram said it has partnered with more than 20 brands, including Adidas and H&M, on the new feature. The photo sharing app has more than 130 million people tapping to reveal product tags in shopping posts every month, up from 90 million in September, it said.